Sacramento Republic FC battle Orange County Blues FC to a scoreless draw, their third consecutive shutout to end the season. Both sides came out slow as they tried to find their footing. Republic FC had the first serious chance on goal in the 16th minute. Defender James Kiffe sent a cross from the left side of the pitch toward the near post. Forward Justin Braun made a run and was able to get his head on the ball, but his shot went just over the crossbar. The Blues best chance came in the 40th minute after winning a free kick in the middle of the pitch. Midfielder Milton Blanco sent the free kick toward the left side of the box. 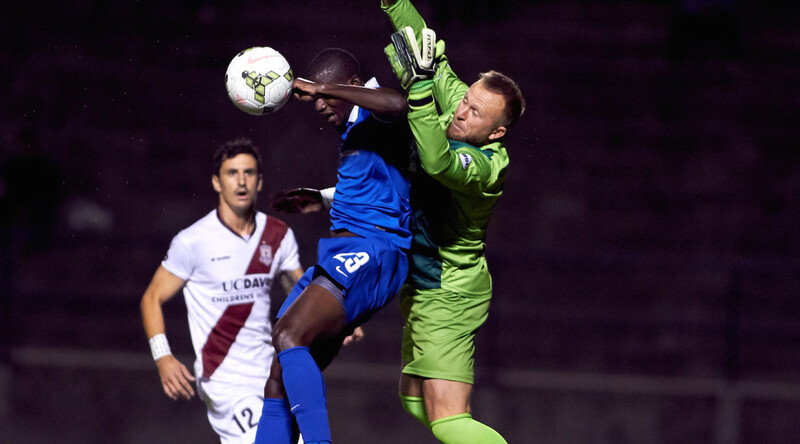 Defender Brenton Griffiths fought through his defender and headed a shot toward the near post, but Republic FC keeper Dominik Jakubek was there for the save and kept the score even at the half. The second half was much like the first, with both sides coming out slowly. 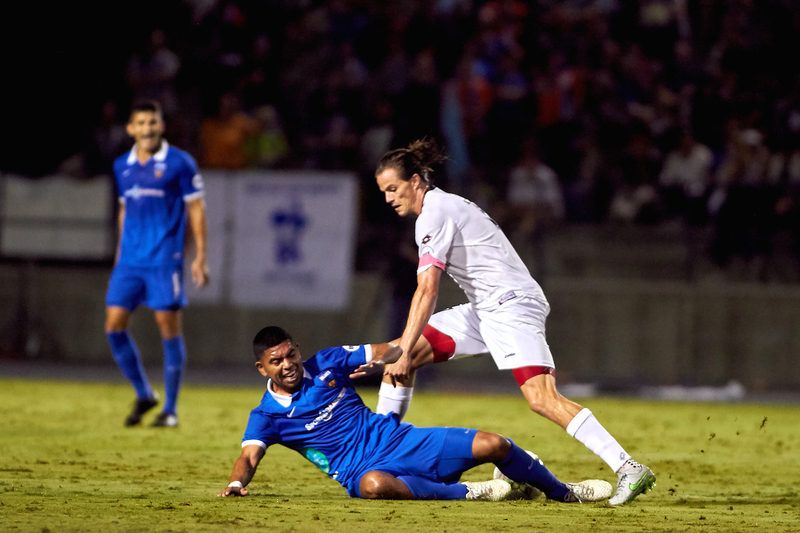 Republic FC’s best chance of the night came in the 68th minute when midfielder Rodrigo Lopez held the ball up in the middle of the field to allow the attack to catch up. Lopez then sent a brilliant through ball to substitute Gabe Gissie who was streaking down the right side. Gissie sent a cross toward the box, but Blues keeper Pepe Miranda was able to clear the ball away from danger. Republic FC’s defense dominated most of the night, winning the ball and keeping the Blues from having many serious chances. In the 73rd minute, the Blues had their best chance of the second half when forward Chris Cortez won a free ball at the top of the box and sent a low, driven shot toward the goal, but Jakubek was there for a diving punch save. 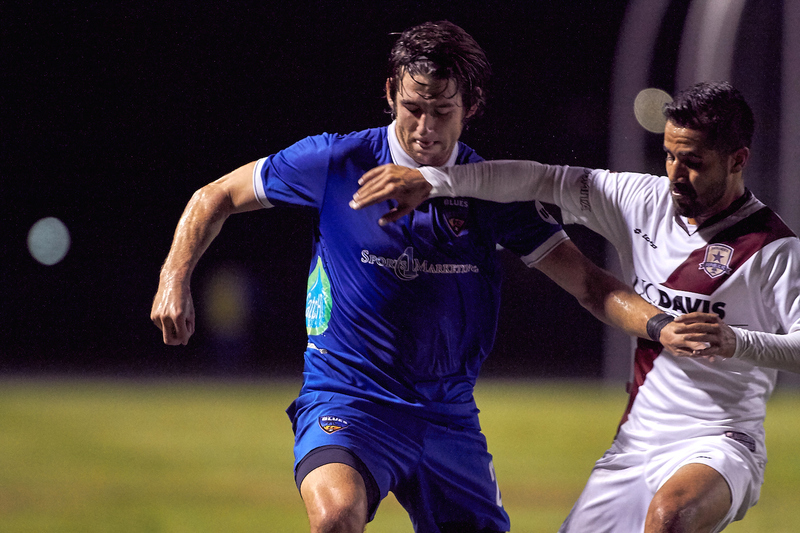 Republic FC would get one final chance at goal in the 78th minute when forward Mark Sherrod intercepted a pass and went one-on-one with Miranda. Sherrod took a powerful shot, but sent it right into the keeper’s chest and was called for a foul as he fought for the rebound, keeping the match scoreless. Republic FC will host LA Galaxy II on Saturday, September 26, at Bonney Field in the USL Western Conference Quarterfinals. Kickoff is 7:30 p.m. PDT. Tickets to the match go on sale to the general public on Wednesday, September 23, at 10 a.m. PDT on Ticketmaster.com.